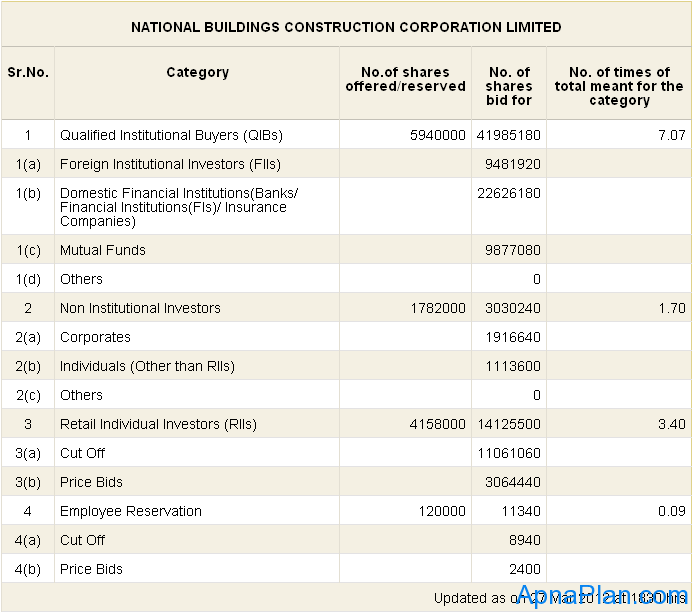 NBCC IPO is open for subscription from March 22 to March 27, 2012. This post would cover the subscription status of the same on a daily basis. 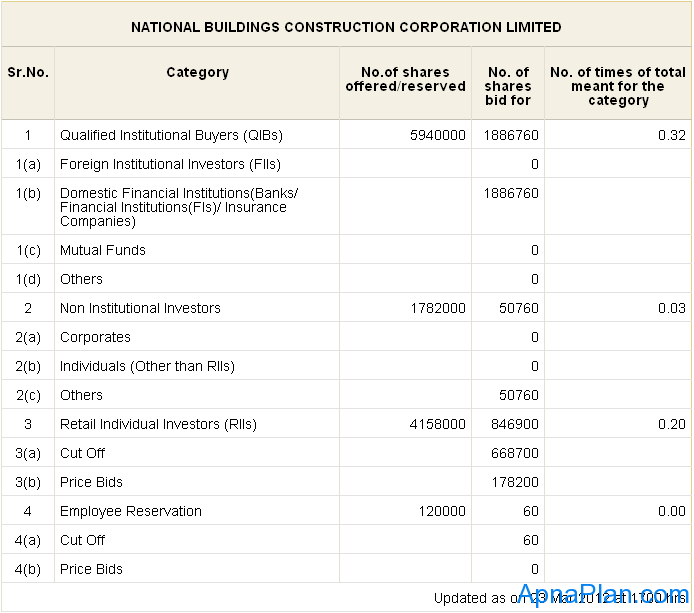 For more details of NBCC IPO click here. 9.25% Edelweiss Retail Finance NCD – March 2018 – Should you Invest?